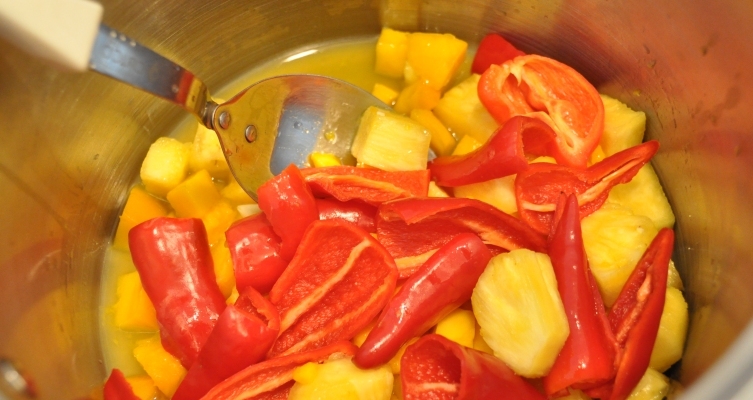 Making hot sauce has always been a favorite past time around our home. Matt loves it and coats most meals from chicken wings to pizza in Franks. But, he also loves to experiment with different peppers, fruits, and vinegars to create hot sauces with a unique flavour and a little more heat. 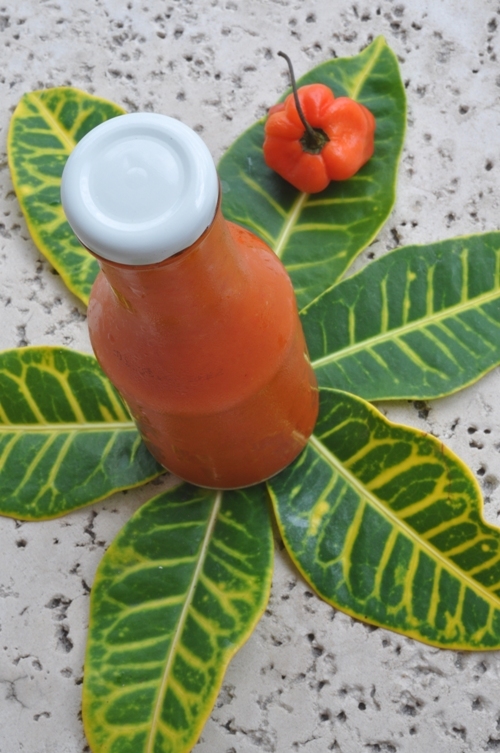 Hot sauce is a great condiment to keep on hand and it can easily be tailored to your liking, to compliment an array of dishes. 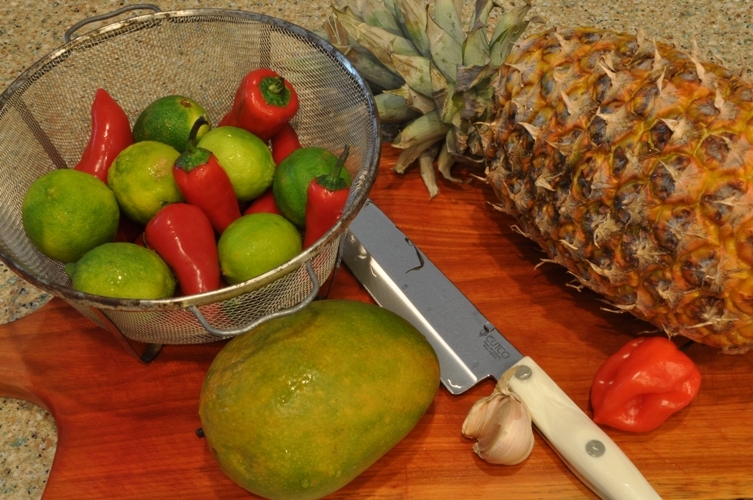 This recipe is a carribean inspired sauce that will enhance most mexican and island dishes. 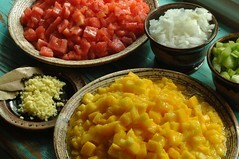 Experiment with different citrus juice or by adding other tropical fruits like papaya or bananas. Just as long as it’s hot, you can’t go wrong! In a medium size stainless steel saucepan saute garlic. Add all other ingredients (except the vinegar) bring to a boil over medium high heat, reduce heat to low and simmer for approximately 45 minutes. Using an immersion blender puree until mixture is smooth. Stir in vinegar. 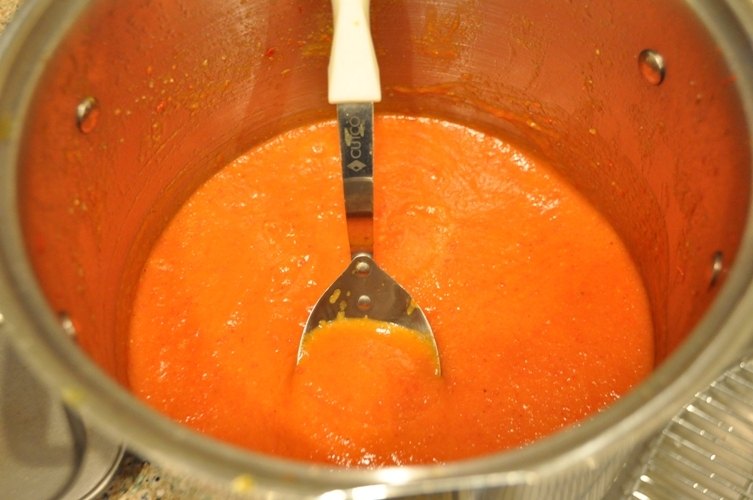 Ladle hot sauce into clean sterilized jars and refrigerate. This hot sauce has a really sweet pineapple flavour up front but upon swallowing, you will definitely feel the heat. And, forget about letting in linger in your mouth…that’s just out of the question! ← A Strawberry Jam Shoutout! We think about 600-800mL…not too much. 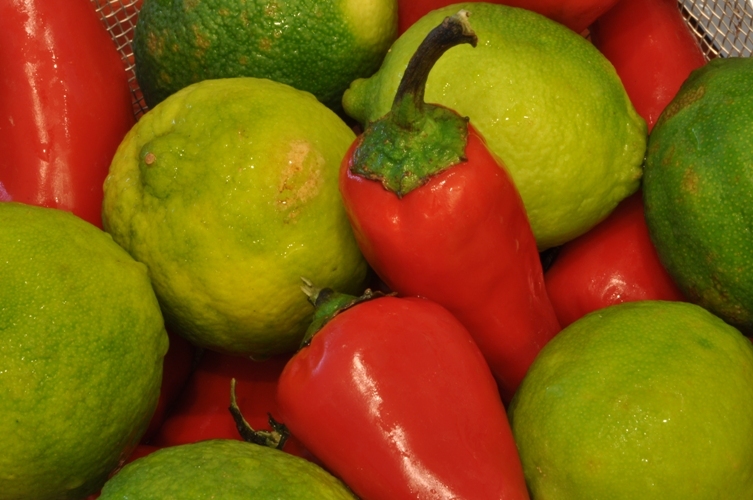 Sure…any kind of peppers will do. It all depends on what you have available and how HOT you like it…the fruit cuts some of the heat, making this a very flavourable sauce.